MEXICO CITY (CNS) — The Mexican bishops’ conference has expressed “support and solidarity” with journalists after a spate of attacks on reporters and editors shocked the country and reinforced Mexico’s reputation as a deadly and dangerous country to work in the media. “We call on the (civil authorities) to guarantee that everyone can carry out their profession with freedom and security, and to combat the impunity and corruption that so strikes and injures our nation,” said the bishops’ statement, signed by the conference secretary-general, Auxiliary Bishop Alfonso Miranda Guardiola of Monterrey. Outrage erupted after journalist Javier Valdez was pulled from his car and shot 12 times May 15 in Culiacan, a city currently consumed by drug cartel violence. Valdez co-founded and edited the weekly newspaper Riodoce. Valdez was well-regarded in western Sinaloa state and beyond for his fearless coverage of corruption and drug cartels, but also providing a voice for victims of violence, people often stigmatized by society and in the media as somehow complicit in the crimes committed against them or their families. Colleagues at Riodoce do not know who killed Valdez, but blame the attack on the violence stemming from a struggle between rival factions of the Sinaloa Cartel. 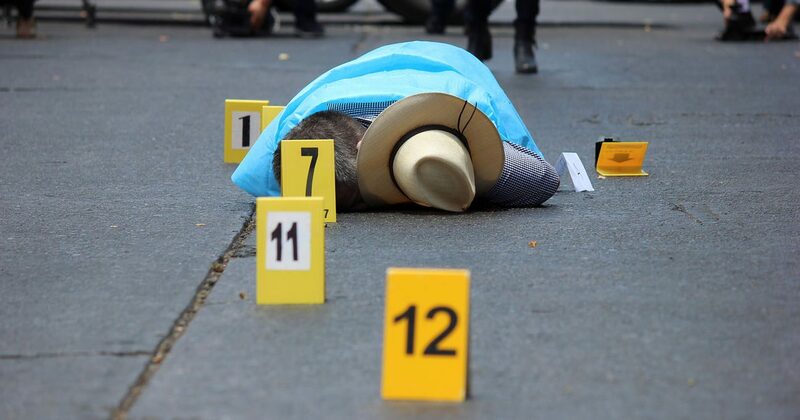 Valdez was sixth journalist murdered in Mexico in 2017, and his murder was part of a violent week in which multiple members of the media were attacked. The Committee to Protect Journalists reports 41 journalists murdered in Mexico for their work since 1992. The motives are unclear in the murder of another 50 journalists killed during that time. Few cases are solved, much less punished. Not everyone in the church expressed solidarity, including the local bishop in Culiacan, who stayed silent on the Valdez slaying, but later spoke sourly of the press. “They’re always there to beat us up” and ignore the church’s charitable works, Culiacan Bishop Jonas Guerrero Corona said May 22, in remarks to Sinaloa newspaper Noroeste. Journalists were quick to rebuke the bishop and point out how the press has brought issues to light such as sexual abuse by priests. “Is this the Christian charity of a successor to the apostles?” tweeted Javier Garza Ramos, former editor of the newspaper El Siglo de Torreon, which was sprayed with bullets five times between 2009 and 2013 and had four employees kidnapped.